The process to form a vanpool doesn't have to be complicated or stressful. 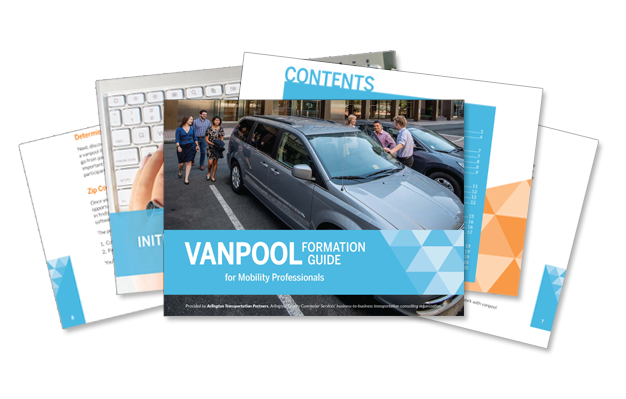 In fact, a vanpool can be formed in less than three months by following our formation guide and with assistance from Arlington Transportation Partners. Starting a vanpool at your organization can help your employees and your bottom line. If you're ready to start vanpooling at your property or organization, fill out the form below and download our guide instantly.